Hollywood sources report that a strong "game component" figures prominently in strategy for adapting Stephen King's gunslinging fantasy series. It is expected for any large budget movie to have a videogame tie-in associated with it, especially if the possible film in question contains a lot of fantasy genre fighting and shooting like The Dark Tower does. I've never read the series myself, although the combination of fantasy and Western elements in an epic tale would be right in my wheelhouse. Ever since Ron Howard was linked to adapting the sprawling 7 book series (with an 8th on the way) that Stephen King's been working on since 1982, we were pretty sure that the story would have to be told over several different media. So far, a feature film and an hour long TV show have been discussed with a possible release date in 2013, but according to a source close to the project, director Howard will also use a videogame to fill in some of the holes in the plot. "There are genuine plans for a May 13th, 2013, release theatrical, with T.V. hours to follow. There is no green light in place yet, as the scripts are not done, which means the budgets are not done, but Universal is giving very strong support," said the source. That's not a ton of information there, but it's just enough for us to begin speculating. Will the videogame work like Tron: Evolution where important elements of the story of the film are brought to light, but in new ways? Or will the game follow a small subplot of the novels that won't get significant screen time either in the film(s) or the TV show? 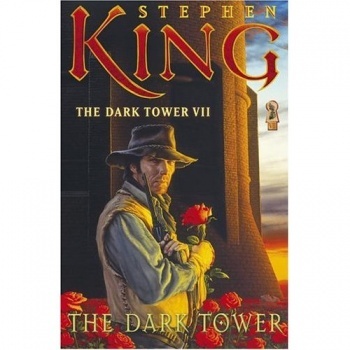 Either way, this news may just get me to bump The Dark Tower to the top of my to-read list.